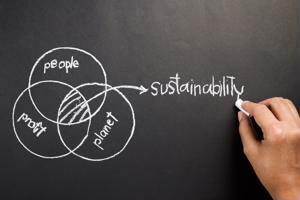 Home Procurement News Why is sustainability important to the supply chain? Why is sustainability important to the supply chain? The world is changing. Global warming and climate change are continuously altering how people live, which the products they buy and where they work. These effects are because of human activities, from depleting natural resources to polluting the environment. Unless adjustments are made, they will continue to negatively impact the Earth, which is why businesses are taking steps to make their supply chains more sustainable. With changes in public perception and new government regulations, companies will be more successful by becoming eco-friendly. As the Earth begins to show the effects of global warming and climate change, consumers are becoming more aware of how their actions affect the world around them. Not only are they making their own lifestyles more environmentally friendly, but they expect the businesses they frequent to do the same. They want complete transparency about companies' supply chains. However, according to a recent survey from PricewaterhouseCoopers, many stakeholders and investors are dissatisfied with the information being shared through transparency reports. Approximately 69 percent of investors are unhappy with how businesses define the effects of their supply chain on the environment and society. More than 80 percent have issues with companies identifying risks and opportunities in terms of money. To keep stakeholders happy, corporations may have to change their ways and move toward more ethical and environmental reporting. Investors aren't the only ones businesses need to appease. Both the U.S. federal and state governments have either enacted or proposed legislation in an attempt to reduce people's impact on the environment. The Clean Air Act, which has been in effect since 1970, monitors greenhouse gas emissions in the atmosphere to ensure the air meets certain standards, the U.S. Environmental Protection Agency explained. The Clean Water Act of 1972 does the same for water sources in the U.S. President Barack Obama's new proposal, the Clean Power Plan, will benefit both areas. If passed, the plan will regulate coal-fueled power plants and cut carbon emissions by 30 percent by 2030. Companies can both prepare for upcoming laws and adhere to established ones by striving to make their supply chains sustainable. What are companies doing to change their practices? Because of the demand for transparency and the need to follow government regulations, corporations are taking efforts to improve their procurement and production methods - some of them by 2020. The Kellogg Company is dedicated to responsible strategic sourcing and conserving natural resources, according to its "Global Sustainability 2020 Commitment Goals" report. The business wants to ensure it is only using certified suppliers that are environmentally friendly and that help the larger community. It doesn't want to use products that have been grown or collected in unsustainable or unethical ways, and the company will provide farmers and suppliers with the tools and information they need to adhere to the "Kellogg Global Supplier Code of Conduct." Kellogg is also dedicated to reducing its greenhouse gas emissions, water use and waste. Coca-Cola has similar goals. The soda company has made plans across various departments for improving its supply chain by 2020. It hopes to reduce production's water usage by 25 percent from 2010 to 2020, and as of the business's "2014/2015 Sustainability Report," it is nearly halfway there. Coca-Cola also wants to reduce its carbon footprint by creating more eco-friendly packaging and reclaiming and recycling the materials it sends out to the public. Similar to Kellogg, the corporation has also established guidelines that its suppliers must meet to ensure a sustainable supply chain. As the Earth's resources dwindle and its human population increases, society must find ways to protect the materials it has left. Corporations are doing their part to ensure their supply chains don't negatively impact the environment or local communities.